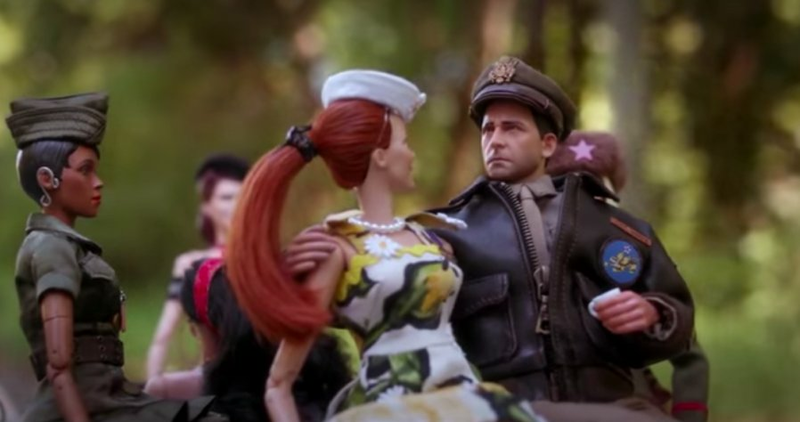 If you're wondering why a second trailer for Welcome to Marwen is here so soon after the first, then you must have missed the bad buzz that came after it. Something about it was just wrong; the tone was too light, the stuff with the toys felt like it was meant as a knock-off of Michel Gondry's work, and it just missed the target if you knew the true story of artist Mark Hogancamp. After a brutal attack left him suffering from PTSD and traumatic brain injury, Hogancamp built a fantasy world out of action figures representing him and the important people in his life. Sadly, the first trailer made his recovery look like a fun romp through his life. The latest is completely different, an altogether sobering look at Hogancamp's struggle and Steve Carell's performance which looks to be awards worthy. That was hard to notice underneath the cheery musical score, the Army Men-style action cues, and more. In short, it's crazy how a good trailer can change your mindset about a movie. 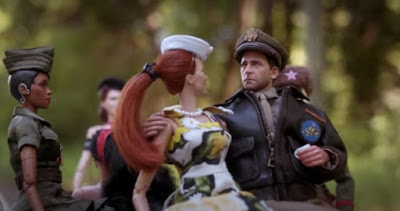 Directed by Robert Zemeckis with Leslie Mann, Merritt Wever, Janelle Monae, Eiza Gonzalez, and Gwendoline Christie co-starring, Welcome to Marwen opens December 21st.